With a plethora of devices out there and VPN providers trying to support every possible style of compatibility, it can be difficult to determine which VPN will work the best for your Windows OS. Windows VPN connection protocols aren’t all created equal, some protocols or encryption rates work on nearly every device but aren’t quite as secure as others are that only tend to work with a handful of particular devices or operating systems. Here are some tips to find the right Windows VPN for you. A Virtual Private Network is the process of tunneling your net connection through a remotely located server somewhere else in the world that will assign your computer a new IP address based on its physical location. The same time this process is happening, any data traveling through the server into the wider internet is encrypted typically at a 128 bit rate. For individuals worried about security or needed that added security in order to securely access sensitive business files off site, you can find a Windows VPN provider who offers a higher level of encryption. There are also a number of VPN protocols available with many providers. As Windows OS devices and computers account for a large portion of the internet population your OS should be able to handle most if not all VPN protocols. Is It Secure to Use a Windows VPN? Strictly speaking, a computer connected to the web via a Windows VPN is more secure than a computer without. As I mentioned above, if the default level of protection isn’t robust enough for your needs you can opt for additional levels of protection. 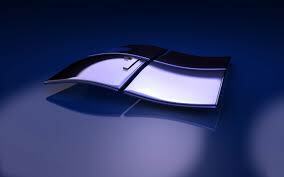 A major factor when choosing a Windows VPN is to know and understand the VPN provider’s privacy policies. Some providers log activity while connected via their Windows VPN, while others choose to keep track of simply when you log on and off their service. Some countries require some measure of logging by law so if you want absolute internet anonymity, you will want to find a provider who does no logging at all. In order to ensure protection at all times, you will also want a provider who offers unlimited bandwidth so that you can remain connected to your VPN any time you are accessed the web. How Will My Windows VPN Perform? To find the best VPN for Windows OS, you will also want to choose a Windows VPN provider who has a large number of available servers in multiple countries. This will limit potential downtime due to high amounts of traffic during peak times. Having a choice of multiple countries will also mean that content will never be out of your reach due to where you are currently located. By using a VPN with your Windows OS you could watch streaming content from the UK, have access to your online banking while traveling abroad in Japan, or bypass regional firewalls that would limit your access to services such as Twitter or Skype in certain countries. You will also want to check the provider’s website for their estimated downtime, after all a service you pay for but can’t use is of little use when protecting you and your data. To take some of the guesswork out of choosing the best VPN provider for Windows OS we have created an easy to digest table highlighting the pros and cons of the top Windows VPN providers. Using this table to can see at a glance which service offers the features you want at the price you are willing or able to pay.